These graceful birds are fun to watch! Some dear friends of ours are currently traveling toward home, in their motorhome. 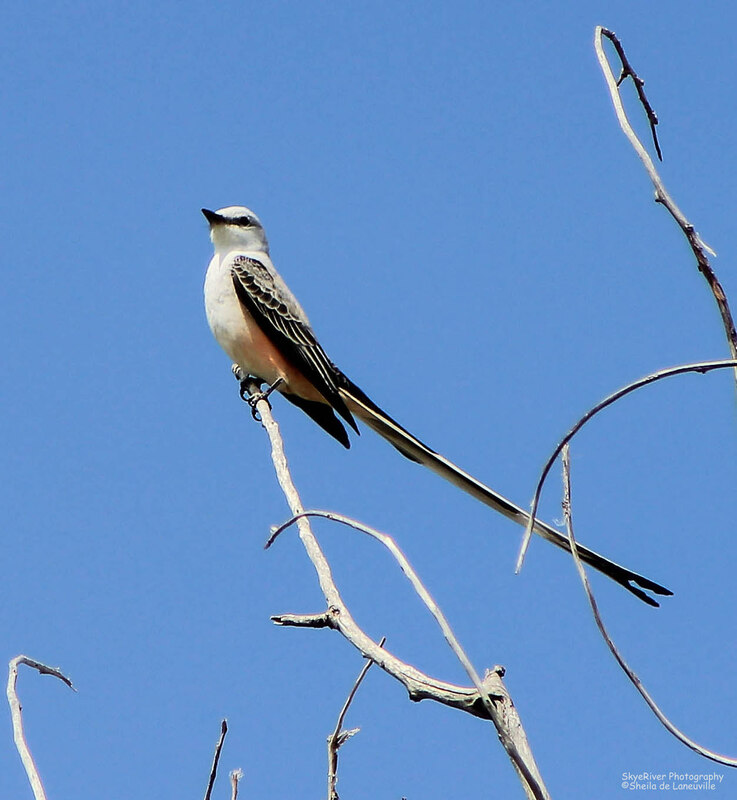 They spent several days at Lake Whitney, TX and while there, they were entertained by six, comical Scissor-tailed Flycatchers. How exciting to see six at once. Caprock Canyon State Park is located in Briscoe County, Texas, south of Amarillo. It is known for its deep, colorful ravines and the fact that it is home to the official Bison Herd in the state of Texas. i wasn’t sure I had identified them correctly until i used Ibirdpro and heard the “sound” they make; rackous critters! and these guys were so agitated! Then the next day I hopped over the barbed wire to the golf course next door and really got up close, but no camera; in flight, their underwings are a beautiful yellow and they sound like parakeets to me when they are shrilling at each other. It was pretty great; so are Sheila’s photos!!! 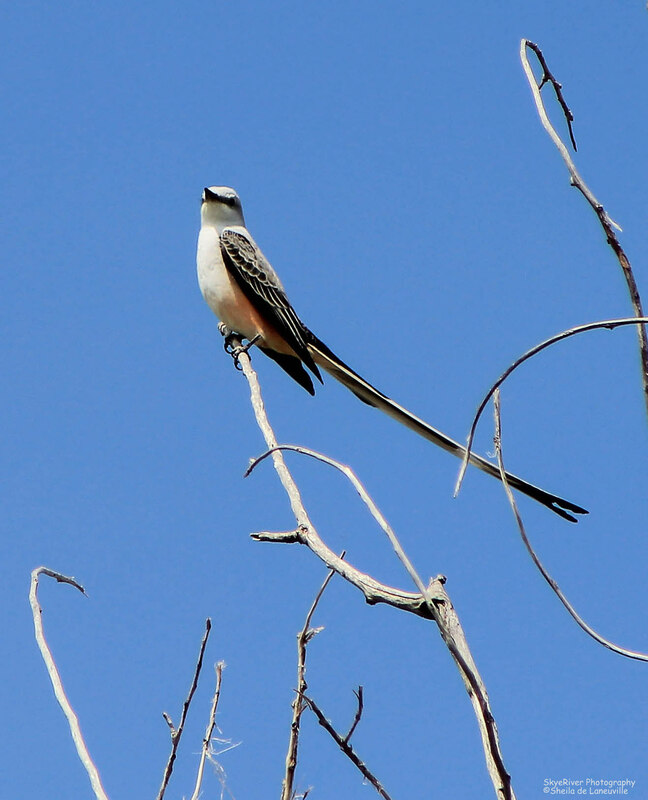 Karla, thanks for sharing your Scissor-tailed story! I can only imagine how they must have looked flying up and “dancing in the sky” – lovely image! They are beautiful birds. Birds are so intriguing. It is fun to observe their behavior. We will have to try and find out what their “dance” was about. So glad you like iBirdpro! 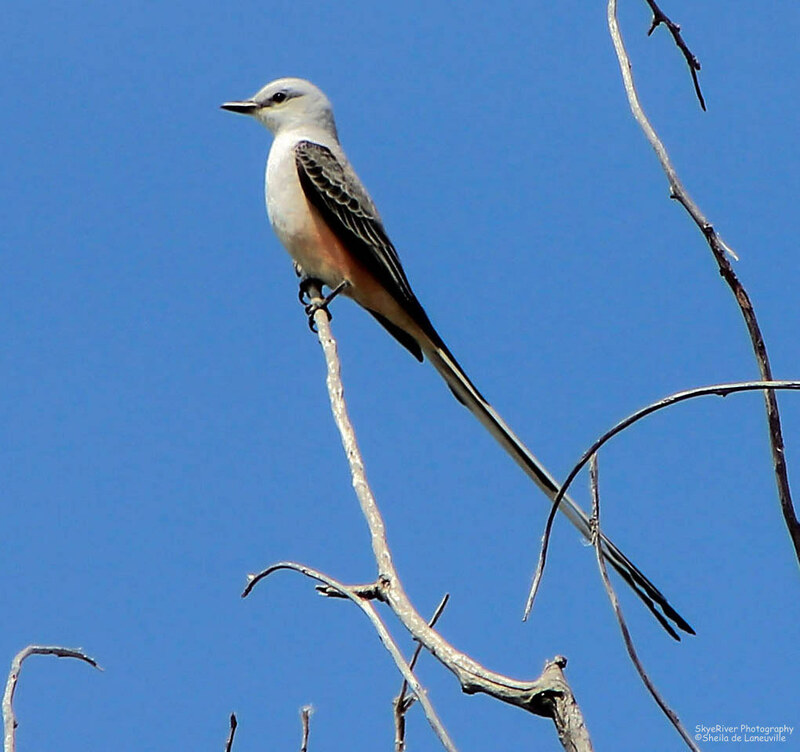 Now you need to become a “birder” by keeping a Life List. Hi LuAnn, hope you and family are enjoying this Independence Day. I was just sitting here adding a few photos to this post. Yes, this is magnificent tail! If you are ever driving through Texas look for them sitting on a utility wire.